Step 1 Combine the mayonnaise, lemon juice, garlic and 1/8 teaspoon of pepper. Lightly spread the garlic mayonnaise on one side of each slice of bread. Step 2 Cut the avocado in half. Remove the pit and peel. Cut each half in two lengthwise. Slice one quarter of the avocado onto each of 4 bread slices, using a fork to mash it. In Recipes-list.com we have selected the most viewed recipes from category - Main courses Sandwiches Vegetarian . Enjoy the best recipes specially selected for you! 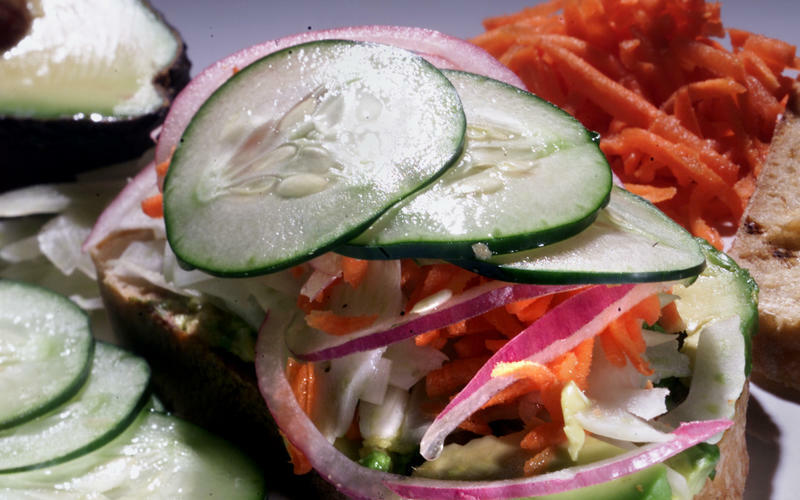 Fresh veggie and tomato bread sandwich is the right choice that will satisfy all your claims.